Lawyers for the state and for death row inmate Henry Skinner on Friday filed proposed findings to a Pampa judge who is considering whether DNA tests on crime scene evidence should preclude his execution. Lawyers for death row inmate Hank Skinner told a court, in documents filed Friday, that testing on long-sought-after DNA evidence in his case should be enough to forestall his execution. State prosecutors, who also submitted legal arguments on Friday, said the same evidence should convince the judge to confirm the 52-year-old's death sentence. Jurors in 1995 found Skinner guilty of strangling and bludgeoning to death his live-in girlfriend, Twila Busby, and fatally stabbing her two adult sons, Elwin Caler and Randy Busby. Skinner has long proclaimed his innocence. He has said he was so intoxicated from a mixture of vodka and codeine that he could not have overpowered the victims. Since 2001, Skinner has sought DNA testing to prove his theory that the real killer was Busby's maternal uncle, who has since died but had a history of violence. State prosecutors agreed to testing in 2012. Last February, state District Judge Steven Emmert held a two-day hearing in Gray County on the DNA evidence. Defense attorney Rob Owen said at the DNA hearing and again in the proposed findings of fact submitted to Emmert, that the issue was not whether DNA could prove his client is actually innocent. Instead, Owen wrote, the issue is whether the jury would have convicted Skinner if the DNA results had been available at the time of the trial. Skinner's defense team argued in the papers filed Friday that three hairs found in Busby's hands were dissimiliar to any of the residents of the house and could give a reasonable juror "basis to harbor reasonable doubt about Mr. Skinner's guilt." 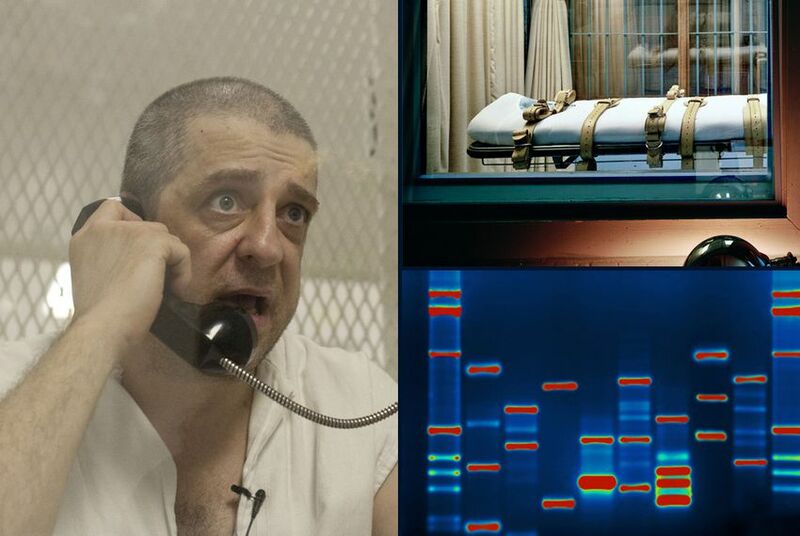 "The statute, as written, asks not whether the newly available DNA results necessarily compel the conclusion that the defendant is innoncent of the crime, but whether they would have raised reasonable doubt about his guilt," Owen wrote. But in the proposed findings that Texas Attorney General Greg Abbott's office filed, state prosecutors argue that the DNA tests proved exactly the opposite, that "it is reasonably probable that Skinner would have been convicted," in 1995. At the hearing in February, the state's expert, Brent Hester, a forensic scientist from the Texas Department of Public Safety’s Lubbock laboratory, said that more than half of the items from the crime scene that analysts tested either produced no results or produced results that couldn’t be interpreted. The DNA tests that produced results allowed the state to identify Skinner's DNA at 19 new locations at the crime scene, including on a knife blade used in the crime and in blood smears on the walls. But, state lawyers emphasized, the DNA testing revealed no evidence that Busby's uncle was at the crime scene. Correction: A previous version of this story misidentified a state district judge. He is Steven Emmert, not Stephen Emmert.